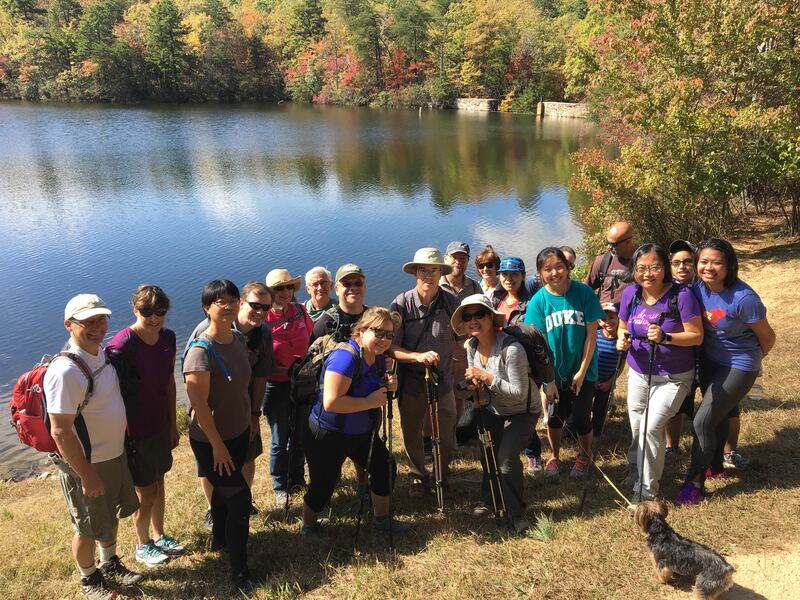 Eno River State Park Archives - GetGoing NC! Another hot, summery weekend is on tap, which means you have two choices for outdoor fun: get wet or go high. 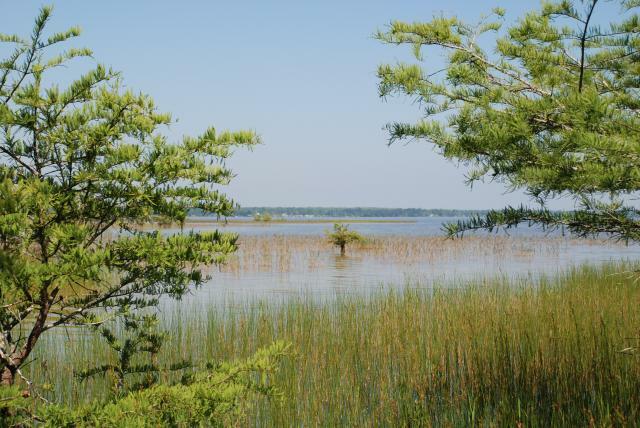 Saturday, join a ranger on an intimate Summer Paddle of the Dismal Swamp Canal at Dismal Swamp State Park north of Elizabeth City. Everything you need — boat, paddle, PFD, basic instruction — is provided. That last part — basic instruction — should be even more incentive for those of you who’ve never paddled. About the “intimate” part: though the trip is free, it’s limited to eight boats. Pre-register — before it’s too late. Logistics: Summer Paddle, Saturday, July 8, 10 a.m., Dismal Swamp State Park, South Mills. Free, but pre-registration is required because there are only eight boats, by calling 252.771.6593. Saturday forecast: Mostly sunny and a temperature of 84 at 10 a.m. Looking ahead: Too short of notice? This summer paddle will be repeated next Saturday, July 15. More info here. Too hot for a hike? How about a boat race — using tiny boats you craft out of recycled materials? First, at Saturday morning’s Build-a-Boat at Eno River State Park, you’ll craft a boat out of recycled materials — bring your own or they’ll have some on hand. Then, you’ll race against other boat builders in the cool waters of the Eno, at Fews Ford. Logistics: Build-a-Boat, Saturday, July 8, 9 a.m., Eno River State Park (meet at the Piper Cox House at the park’s Fews Ford Access. More info here. Saturday forecast: Sunny, with a 9 a.m. temperature of 79. Looking ahead: Can’t make Saturday morning’s Build-a-Boat? The event repeats Saturday, July 29 at noon. More info here. D’ja ever wonder about the weather on top of a mountain? About the highest wind gusts ever recorded? Lowest temperature? Most snow? Likewise, who hasn’t wondered how they record that information? Saturday is your chance to have these questions answered at Mount Jefferson State Natural Area. Setting out from the picnic area, you’ll make the short clime to MJ’s 4,683-foot summit, home to a North Carolina Climate Office data collection tower, where the mountain will reveal her climatological secrets during the Mount Jefferson’s Climate Tower program. Logistics: Mount Jefferson’s Climate Tower, Saturday, July 8, 2 p.m., Mount Jefferson State Natural Area, West Jefferson. More info here. Saturday forecast: Mostly sunny with a high of 76. 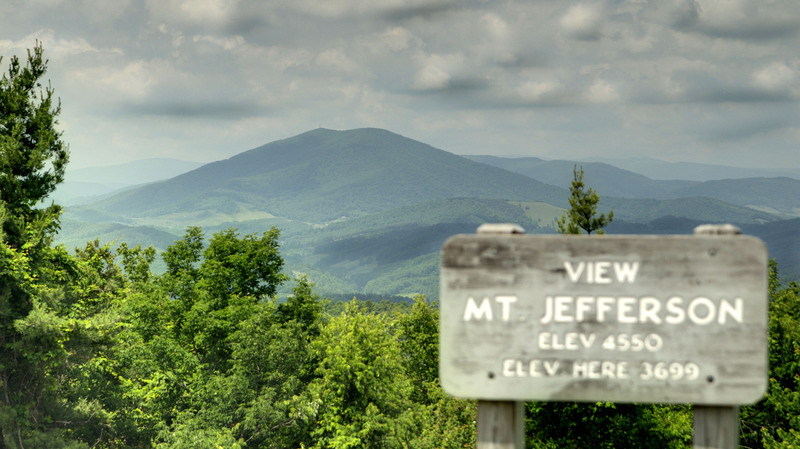 Looking ahead: Can’t make Saturday’s hike, but intrigued all the same by Mount Jefferson? Then consider the Rock Outcrop Hike at the park on Saturday, July 29. More info here. Start your weekend Friday evening with a GetHiking! ramble along the Eno River. 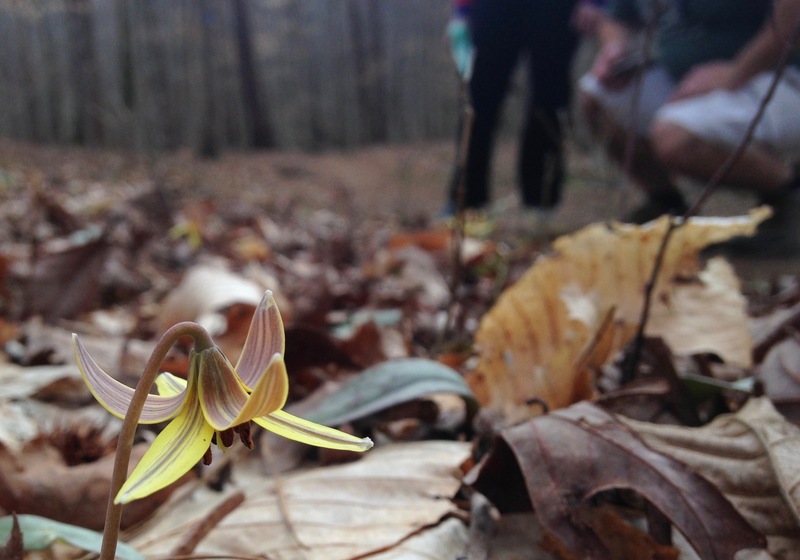 Start your weekend Friday evening in the Piedmont, learn how the woods once helped paint their own portraits at Elk Knob State Park, “sneak” into 10 nature programs at the coast. So much to do this weekend, and great weather in which to do it. When I was in high school, certain friends would buy a ticket for the noon movie on Saturday, then, when it was over, linger in the lobby and slip into the 2 p.m. show. They’d repeat for the 4 p.m., the 6 p.m., the 8 p.m., and the 10 p.m. Kids, honestly. And here’s the thing: you’re not really beating the system — the events are all free. Logistics: A day of nature programs, Saturday, June 10, from 8:30 a.m. to about 10 p.m., Bald Head Island Nature Conservancy, Bald Head Island. More info here. Saturday forecast: High of 82, sunny. Looking ahead: Carolina Beach Double Sprint Triathlon, Saturday, June 24, Carolina Beach. More info here. Some folks go through life under the erroneous assumption that we have a two-day weekend in this country. In fact, it is 2 and a quarter days, the quarter beginning around 5 p.m. Friday. That gives you plenty of time to join our GetHiking! Triangle group for An Evening Along the Eno, a 4.1-mile hike that begins at 7 p.m. In the light of early evening, we will head out on the Buckquarter Creek Trail, taking the ridgeline option to Buckquarter Creek. There, we’ll cross a wooden footbridge and pick up the Holden Mill Trail, along the Eno. This is an especially rocky stretch of the river: outcrops crowd the river midway, making for some playful scrambles. The return on this figure-8 route begins on a ridgeline and finishes, in the dusk, along the Eno. 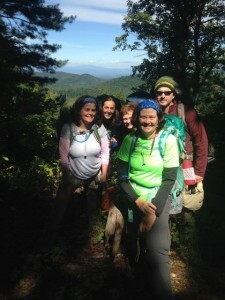 One of our favorite Triangle hikes, made better in the fading light of day. Logistics: GetHiking! 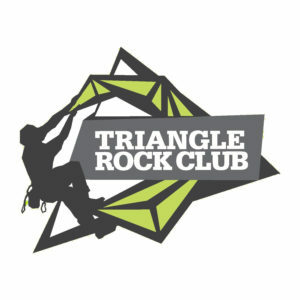 Triangle: An Evening Along the Eno, Friday, June 9, 7 p.m., Few’s Ford Access, Eno River State Park. More info and sign up, here. 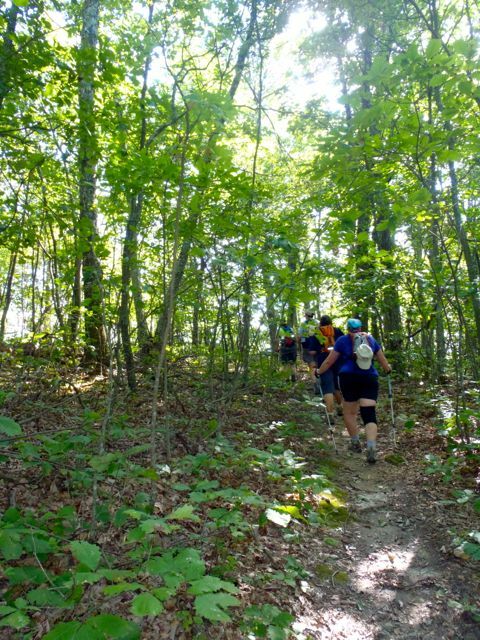 Friday evening forecast: Clear skies with a high of 78 at hike time. 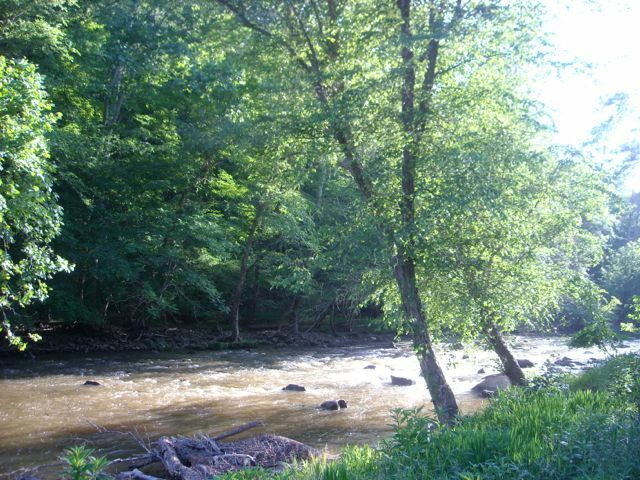 Looking ahead: Creek Creep, Saturday, June 17, Mayo River State Park, Mayodan. More info here. We like to learn a thing or two when we venture into the woods. Like the difference between a pin oak and a white oak. Or how to ID a tree by its bark. Or where paint comes from. Or used to. That’s what you’ll learn Saturday afternoon should you plan to attend Elk Knob State Park’s Natural Pigments program. “Find out how the artists of old got their colors and try it out yourself,” says the event description. Logistics: Natural Pigments, Saturday, June 10, 2 p.m., Elk Knob State Park, Todd. Learn more and sign up here. Saturday forecast: High of 75 and cloudless. Looking ahead: Tips and Tactics for Fishing the New River, Saturday, July 1, 10 a.m., New River State Park. Learn more and sign up here.